The SkyCaddie SkyPro Golf Swing Analyzer is golf's most powerful swing analyzer and golf training aid. For centuries golfers have searched for ways to develop a competitive golf swing. Now, anyone can with SkyPro. Make practice pay off and have more fun, too, with the SkyCaddie SkyPro Golf Analyzer! Thousands of critical data points about your Swing Path, Club Head Speed, Swing Plane, Club Face Rotation, Shaft Angles and much more are instantly beamed to a FREE app on your smartphone to view from any angle in true 3D high definition. Use SkyPro's unique Groove and Practice Sessions to provide instant feedback on your successful swings and identify common faults immediately. You will quickly correct your faults and start hitting the ball longer, straighter and more consistently than ever before. Repeating bad swings only grooves a bad swing. Now, you can see flaws instantly so you don't groove your faults. Use tips and drills from Hank Haney and Michael Breed to make your practice time productive. 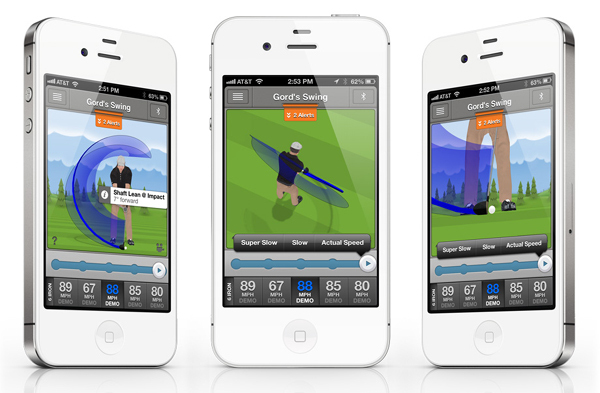 SkyPro is like having your personal swing coach everywhere you go. • Challenging Groove Sessions include custom selectable goals and scoring to measure your progress. • Automatically catpures up to a hunder thousand data points from address to impact on each swing. • Fun, easy drills to work on your: swing tempo, shaft lean and angles at address and impact, backswing length, club head speed drills, swing patch, angle of attack, face rotation and much more. Use SKyPro's unique Groove and Practice Sessions to provide instand feedback on your successful swings and identify common faults immediately. You will quickly correct your faults and start hitting the ball long, straighter and more consistenly than ever before. Repeating bad swings only grooves a bad swing. Now, y ou can see flaws instantly so you don't groove your faults. Use tips and drills from Hank Haney and Michael Breed to make your practice time productive. SkyPro is like having your personal coach everywhere you go. If you have any questions regarding the SkyPro Golf Swing Analyzer, please give us a call, we would be happy to help you with any questions you may have. 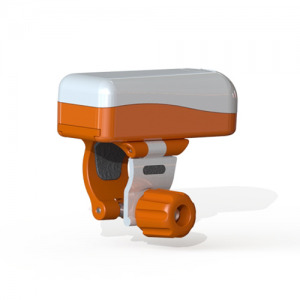 Write an online review on the SkyPro Golf Swing Analyzer, and share your thoughts with others.